The Cayman Islands (/ˈkeɪmən/ or /keɪˈmæn/) is an autonomous British Overseas Territory in the western Caribbean Sea. The 264-square-kilometre (102-square-mile) territory comprises the three islands of Grand Cayman, Cayman Brac and Little Cayman, which are located to the south of Cuba and northeast of Honduras, between Jamaica and the Yucatán Peninsula. As of spring 2018, the total population of the Cayman Islands is estimated to be 64,420 making it the second-most populated British overseas territory after Bermuda. The capital city is George Town, situated on Grand Cayman, by far the most populous of the three islands. The Cayman Islands remained largely uninhabited until the 17th century. While there is no archaeological evidence for an indigenous people on the islands, a variety of settlers from various backgrounds made their home on the islands, including pirates, shipwrecked sailors, and deserters from Oliver Cromwell‘s army in Jamaica. The islands are in the western Caribbean Sea and are the peaks of a massive underwater ridge, known as the Cayman Ridge (or Cayman Rise). This ridge flanks the Cayman Trough, 6,000 m (20,000 ft) deep which lies 6 km (3.7 mi) to the south. The islands lie in the northwest of the Caribbean Sea, east of Quintana Roo, Mexico and Yucatán State, Mexico, northeast of Costa Rica, north of Panama, south of Cuba and west of Jamaica. They are situated about 700 km (430 mi) south of Miami, 750 km (470 mi) east of Mexico, 366 km (227 mi) south of Cuba, and about 500 km (310 mi) northwest of Jamaica. Grand Cayman is by far the largest, with an area of 197 km2 (76 sq mi). Grand Cayman’s two “sister islands”, Cayman Brac and Little Cayman, are about 120 km (75 mi) east north-east of Grand Cayman and have areas of 38 and 28.5 km2 (14.7 and 11.0 sq mi) respectively. The nearest land mass from Grand Cayman is the Canarreos Archipelago (about 150 miles away), whereas the nearest from the eastermost island Cayman Brac is the Jardines de la Reina archipelago (about 100 miles away) – both of which are part of Cuba. All three islands were formed by large coral heads covering submerged ice age peaks of western extensions of the Cuban Sierra Maestra range and are mostly flat. One notable exception to this is The Bluff on Cayman Brac’s eastern part, which rises to 43 m (141 ft) above sea level, the highest point on the islands. The mammalian species in the Cayman Islands include the introduced Central American agouti and eight species of bats. At least three now extinct native rodent species were present up until the discovery of the islands by Europeans. Marine life around the island of the Grand Cayman includes tarpon, silversides (Atheriniformes), French angelfish (Pomacanthus paru), and giant barrel sponges. A number of cetaceans are found in offshore waters. These species include the goose-beaked whale (Ziphius cavirostris), Blainville’s beaked whale (Mesoplodon densirostris) and sperm whale (Physeter macrocephalus). Among other notable fauna at the Queen Elizabeth II Botanic Park is the critically threatened blue iguana which is also known as the Grand Cayman iguana (Cyclura lewisi). The blue iguana is endemic to the Grand Cayman particularly because of rocky, sunlit, open areas near the island’s shores that are advantageous for the laying of eggs. Nevertheless, habitat destruction and invasive mammalian predators remain primary reasons that blue iguana hatchlings do not survive naturally. The Cuban crocodile (Crocodylus rhombifer) once inhabited the islands; and the American crocodile (C. acutus) is thought to be repopulating Grand Cayman. The name “Cayman” is derived from a Carib word for various crocodilians. The Cayman Islands have more registered businesses than people. According to the Economics and Statistics Office of the Government of the Cayman Islands, the Cayman Islands has a population of about 64,420 as of spring 2018. In 2016, the Cayman Islands had an estimated population of about 60,765 according to the United Nations, representing a mix of more than 100 nationalities. Out of that number, about half are of Caymanian descent. About 60% of the population is of mixed race (mostly mixed African-European). The islands are almost exclusively Christian, with large numbers of Baptists, Presbyterians and Catholics, but also hosts Jewish, Muslim and Hindu communities. The vast majority of the population resides on Grand Cayman, followed by Cayman Brac and Little Cayman, in that order. The capital of the Cayman Islands is George Town, on the southwest coast of Grand Cayman. With an average income of around KYD$47,000, Caymanians have the highest standard of living in the Caribbean. According to the CIA World Factbook, the Cayman Islands GDP per capita is the 38th highest in the world, but the CIA’s data for Cayman dates to 2004 and is likely to be lower than present-day values. The territory prints its own currency, the Cayman Islands dollar (KYD), which is pegged to the US dollar US$1.227 to 1 KYD. However, in many retail stores throughout the islands, the KYD is typically traded at US$1.25. The government has established a Needs Assessment Unit to relieve poverty in the islands. The government’s primary source of income is indirect taxation: there is no income tax, capital gains tax, or corporation tax. An import duty of 5% to 22% (automobiles 29.5% to 100%) is levied against goods imported into the islands. Few goods are exempt; notable exemptions include books, cameras, gold, and perfume. On 15 July 2012 one of the Cayman Islands’ former Premiers McKeeva Bush announced the intended introduction of a “community enhancement fee” in the form of a payroll tax to be paid solely by expatriate workers. Caymanians themselves were to remain exempt from this tax. This would have been the first direct tax on income in the Cayman Islands’ history. Bush also announced a five percent fee on “certain categories of employment” to be payable by businesses. However, the payroll tax was scrapped before it had been implemented. One of Grand Cayman‘s main attractions is Seven Mile Beach, site of a number of the island’s hotels and resorts. Named one of the Ultimate Beaches by Caribbean Travel and Life, Seven Mile Beach is on the western shore of Grand Cayman Island. It is a public property and possible to walk the full length of the beach, past all the hotels, resorts, and public beach bars. Historical sites in Grand Cayman, such as Pedro St. James Castle in Savannah, also attract visitors. Tourists also visit the “sister islands”, Little Cayman and Cayman Brac. There are two shipwrecks off the shores of Cayman Brac, including the MV Captain Keith Tibbetts; Grand Cayman also has several shipwrecks off its shores, including one deliberate one. On 30 September 1994 the USS Kittiwake was decommissioned and struck from the Naval Vessel Register. In November 2008 her ownership was transferred for an undisclosed amount to the government of the Cayman Islands, which had decided to sink the Kittiwake in June 2009 to form a new artificial reef off Seven Mile Beach, Grand Cayman. Following several delays, the ship was finally scuttled according to plan on 5 January 2011. The Kittiwake has become a dynamic environment for marine life. While visitors are not allowed to take anything, there are endless sights. Each of the five decks of the ship offers squirrelfish, rare sponges, Goliath groupers, urchins, and more. Experienced and beginner divers are invited to swim around the Kittiwake. Pirates Week, an annual 11-day November festival, was started in 1977 by Jim Bodden, then Minister of Tourism, to boost tourism during the country’s tourism slow season. Other Grand Cayman tourist attractions include: the ironshore landscape of Hell; the 23-acre (93,000 m2) marine theme park “Cayman Turtle Centre: Island Wildlife Encounter”, previously known as “Boatswain’s Beach”; the production of gourmet sea salt; and the Mastic Trail, a hiking trail through the forests in the centre of the island. The National Trust for the Cayman Islands provides guided tours weekly on the Mastic Trail and other locations. As of 31 December 2015 360 commercial vessels and 1,674 pleasure craft were registered in the Cayman Islands totaling 4.3 million GT. The Cayman Islands has a small population of 64,420 (as of 2018) and therefore a limited workforce. Work permits may, therefore, be granted to foreigners. On average, there have been more than 21,000 foreigners holding valid work permits. The Cayman Islands presently imposes a controversial “rollover” in relation to expatriate workers who require a work permit. Non-Caymanians are only permitted to reside and work within the territory for a maximum of nine years unless they satisfy the criteria of key employees. Non-Caymanians who are “rolled over” may return to work additional nine-year periods, subject to a one-year gap between their periods of work. The policy has been the subject of some controversy within the press. Law firms have been particularly upset by the recruitment difficulties that it has caused. Other less well-remunerated employment sectors have been affected as well. Concerns about safety have been expressed by diving instructors, and realtors have also expressed concerns. Others support the rollover as necessary to protect Caymanian identity in the face of immigration of large numbers of expatriate workers. Concerns have been expressed that in the long term, the policy may damage the preeminence of the Cayman Islands as an offshore financial centre by making it difficult to recruit and retain experienced staff from onshore financial centres. Government employees are no longer exempt from this “rollover” policy, according to this report in a local newspaper. The governor has used his constitutional powers, which give him absolute control over the disposition of civil service employees, to determine which expatriate civil servants are dismissed after seven years service and which are not. This policy is incorporated in the Immigration Law (2003 revision), written by the United Democratic Party government, and subsequently enforced by the People’s Progressive Movement Party government. Both governments agree to the term limits on foreign workers, and the majority of Caymanians also agree it is necessary to protect local culture and heritage from being eroded by a large number of foreigners gaining residency and citizenship. In recognition of the CARICOM (Free Movement) Skilled Persons Act which came into effect in July 1997 in some of the CARICOM countries such as Jamaica and which has been adopted in other CARICOM countries, such as Trinidad and Tobago it is possible that CARICOM nationals who hold the “A Certificate of Recognition of Caribbean Community Skilled Person” may be allowed to work in the Cayman Islands under normal working conditions. There are two official members of the Legislative Assembly, the Deputy Governor and the Attorney General. They are appointed by the Governor in accordance with Her Majesty’s instructions, and although they have seats in the Legislative Assembly, under the 2009 Constitution, they do not vote. They serve in a professional and advisory role to the MLAs, the Deputy Governor represents the Governor who is a representative of the Queen and the British Government. While the Attorney General serves to advise on legal matters and has special responsibilities in the LA, he is generally responsible for changes to the Penal code among other things. Since 2000, there have been two official major political parties: The Cayman Democratic Party (CDP) and the People’s Progressive Movement (PPM). While there has been a shift to political parties, many contending for office still run as independents. The two parties are notably similar, though they consider each other rivals in most cases, their differences are generally in personality and implementation rather than actual policy. The Cayman Islands currently lacks any real liberal or progressive representation in the Legislative Assembly or in the form of organized political parties. As of the May 2017 General Election, members of the PPM and CDP have joined together with 3 independent members to form a government coalition despite many years of enmity. Foreign policy is controlled by the United Kingdom, as the islands remain an overseas territory of the United Kingdom. Although in its early days, the Cayman Islands’ most important relationships were with Britain and Jamaica, in recent years, as a result of economic dependence, a relationship with the United States has developed. The International College of the Cayman Islands is a private college in Grand Cayman. The college was established in 1970 and offers associate’s, bachelor’s and master’s degree programmes. Grand Cayman is also home to St. Matthew’s University, which includes a medical school and a school of veterinary medicine. The Cayman Islands Law School, a branch of the University of Liverpool, is based on Grand Cayman. The Royal Cayman Islands Police Service (RCIPS) provides law enforcement for the three islands. Regular off-shore marine and air patrols are conducted by the RCIP using a small fleet of vessels and a helicopter. Grand Cayman is a port of call for Britain’s Royal Navy and the United States Coast Guard who often assist with sea rescues when their resources are in the Cayman Islands area. The Cayman Islands Fire Service provides fire prevention, fire fighting and rescue. Its headquarters are in George Town and has substations in Frank Sound, West Bay, Cayman Brac and Little Cayman. Access to Emergency Services is available using 9-1-1, the Emergency telephone number, the same number as is used in Canada and the United States. The Cayman Islands Department of Public Safety’s Communications Centre processes 9-1-1 and non-emergency law enforcement, EMS, fire, and Search and Rescue calls for all three islands. The Communications Centre dispatches RCIP and EMS units directly, however, the Cayman Islands Fire Service maintains their own dispatch room at the airport fire station. The Cayman Islands Basketball Federation joined the international basketball governing body FIBA in 1976. The country’s national team attended the official 2011 Caribbean Basketball Championship for the first time. Rugby union is a developing sport, and has its own national men’s team, women’s team, and Sevens team. The Cayman Men’s Rugby 7s team is second in the region after the 2011 NACRA 7s Championship. Squash is popular in the Cayman Islands with a vibrant community of mostly ex-pats playing out of the 7 court South Sound Squash Club. In addition, the women’s professional squash association hosts one of their major events each year in an all glass court being set up in Camana Bay. In December 2012, the former Cayman Open will be replaced by the Women’s World Championships, the largest tournament in the world. The top Cayman men’s player, Cameron Stafford is No. 2 in the Caribbean and ranked top 200 on the men’s professional circuit. Flag football (CIFFA) has men’s, women’s and co-ed leagues. ^ “Background Note: Cayman Islands”. State.gov. 18 February 2011. Archived from the original on 4 August 2011. Retrieved 31 July 2011. ^ a b c d “The Economics and Statistics Office”. Government of the Cayman Islands. Retrieved 3 April 2019. ^ “Commonwealth Secretariat – Cayman Islands”. Thecommonwealth.org. Archived from the original on 19 July 2011. Retrieved 31 July 2011. ^ Rogoff, Natasha Lance (19 February 2004). “Tax me if you can. Haven or Havoc?”. pbs.org. ^ “Cayman Islands History”. Gocayman.ky. Archived from the original on 12 October 2008. ^ “Hurricane Ivan Remembered”. Hazard Management Cayman Islands. Retrieved 26 July 2012. ^ “Grand Cayman’s history with tropical systems”. hurricanecity.com. Retrieved 31 July 2011. ^ “Publications”. Archived from the original on 23 December 2015. Retrieved 23 December 2015. ^ “Coordinates + total distance”. web page. mapcrow. Retrieved 23 October 2011. ^ “Quintana Roo to Cayman Islands”. web page. distancesto. Retrieved 18 January 2015. ^ “Distance from Cayman Islands to Cuba”. web page. distancefromto.net/. 2011. Retrieved 23 October 2011. ^ “Coordinates and total distance”. web page. Mapcrow. Retrieved 23 October 2011. ^ Glenn Gerber. “Lesser Caymans iguana Cyclura nubila caymanensis”. web page. The World Conservation Union. Archived from the original on 8 October 2011. Retrieved 23 October 2011. ^ “World Atlas Highest and Lowest points”. web page. Graphic Maps. Retrieved 23 October 2011. ^ Woods, C.A. ; Kilpatrick, C.W. (2005). “Infraorder Hystricognathi”. In Wilson, D.E. ; Reeder, D.M. Mammal Species of the World: A Taxonomic and Geographic Reference (3rd ed.). Johns Hopkins University Press. p. 1558. ISBN 978-0-8018-8221-0. OCLC 62265494. ^ Morgan, Gary; Franz, Richard; Ronald Crombie (1993). “The Cuban Crocodile, Crocodylus rhombifer, from Late Quaternary Fossil Deposits on Grand Cayman” (PDF). Caribbean Journal of Science. 29 (3–4): 153–164. ^ “The Cayman Islands – History”. www.gov.ky. Retrieved 17 August 2018. A 1523 map show[s] all three Islands with the name Lagartos, meaning alligators or large lizards, but by 1530 the name Caymanas was being used. It is derived from the Carib Indian word for the marine crocodile, which is now known to have lived in the Islands. 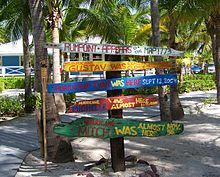 ^ “When to Go in Cayman Islands | Frommer’s”. www.frommers.com. Retrieved 28 September 2016. ^ Boxall, Simon (9 September 2008). “Hurricane Ivan Remembered – Cayman Prepared”. gov.ky. Retrieved 22 April 2012. ^ “Regions and territories: Cayman Islands”. BBC News. 29 April 2011. Retrieved 31 July 2011. ^ “The Jewish Community of Cayman Islands”. Retrieved 26 February 2015. ^ “The Cayman Islands 2016 Compendium of Statistics” (PDF). Economics and Statistics Office. 7 February 2011. Archived from the original (PDF) on 7 November 2017. Retrieved 2 November 2017. ^ Jack, Stuart. “Governor’s Tribute to Sir Vassel”. Cayman Islands Government. Archived from the original on 16 June 2018. Retrieved 16 June 2018. ^ “CIA – The World Factbook – Rank Order – GDP – per capita (PPP)”. Retrieved 25 April 2018. ^ “Moving to Grand Cayman”. CaymanNewResident.com. Archived from the original on 25 June 2014. Retrieved 21 July 2014. ^ “The reality of Poverty In Cayman”. Cayman Reporter. 5 August 2015. Archived from the original on 23 April 2016. Retrieved 11 April 2016. ^ “A Bill for a Law to Increase Various Duties Under the Customs Tariff Law (2002 Revision); to Increase the Rates of Package Tax; And for Incidental and Connected Purposes” (PDF). Cayman Islands Legislative Assembly. 7 December 2009. Retrieved 25 June 2018. ^ “Government announces expat tax Pension contributions involved”. Caymanian Compass. 26 July 2012. Retrieved 26 July 2012. 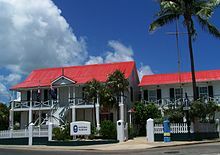 ^ “National Trust For the Cayman islands”. Nationaltrust.org.ky. Retrieved 31 July 2011. ^ “CI shipping 2015/2016 annual report page 22” (PDF). cishipping.com. Retrieved 11 March 2019. ^ “Work Permit Stats”. Eso.ky. 30 March 2007. Archived from the original on 22 July 2011. Retrieved 31 July 2011. ^ “C.I. Government Website – Entry Requirements for Work Permits”. Gov.ky. Retrieved 31 July 2011. ^ “Online Employment Resources”. Island-search.com. Archived from the original on 10 August 2011. Retrieved 31 July 2011. ^ “Cayman Islands – Cay Compass News Online – Rollover for civil servants”. Archived from the original on 6 March 2008. Retrieved 23 June 2008. ^ “Cayman Observer”. Retrieved 23 June 2008. ^ “Country Profile for Cayman Islands — Caribbean Community (CARICOM)”. caricom.org. ^ “The Cayman Islands Constitution Order 2009” (PDF). legislation.gov.uk. 2009. ^ “Commonwealth elections observers give Cayman Islands high marks”. www.caribbeannewsnow.com. Caribbean News Now. 27 May 2013. Archived from the original on 10 January 2014. Retrieved 28 May 2013. The amendment of elections law in 2012 increased the number of elected members of the Legislative Assembly from fifteen to eighteen. ^ “Governor Designate Roper arrives Monday”. Retrieved 29 October 2018. ^ “Official Register of Political Parties” (PDF). Cayman Islands Elections Office. 29 August 2018. Retrieved 29 August 2018. ^ ““Premier McLaughlin to lead 13-member coalition government““. Cayman Compass. 31 May 2017. Retrieved 29 August 2018. ^ “Cayman Islands – Taxation”. KPMG. Archived from the original on 19 May 2015. ^ “United Kingdom / Europe / Member countries / Internet / Home – INTERPOL”. Interpol.int. 30 December 2012. Retrieved 30 December 2012. ^ “Cayman Islands Cruise – Grand Cayman Island, Grand Cayman – Cayman Islands”. caymanislands.ky. ^ “University College Cayman Islands: About us”. Ucci.edu.ky. Archived from the original on 22 July 2011. Retrieved 31 July 2011. ^ “St. Matthew’s University”. Stmatthews.edu. Retrieved 31 July 2011. ^ “Cayman Islands law School”. Liv.ac.uk. Archived from the original on 14 January 2012. Retrieved 31 July 2011. ^ “Cayman Islands Fire Service”. Cifs.gov.ky. Retrieved 31 July 2011. ^ “CIFS locations”. Caymanchamber.ky. Archived from the original on 5 October 2011. Retrieved 31 July 2011. ^ “EMERGENCIES” (PDF). Travel.State.Gov U.S. DEPARTMENT OF STATE — BUREAU OF CONSULAR AFFAIRS. 29 July 2018. ^ “What We Do”. www.gov.ky. Retrieved 29 July 2018. ^ “NatWest Island Games XVI Jersey 2015 Results – Sports – Swimming – Men’s 200m Individual Medley”. jersey2015results.com. ^ “International Cricket Council: Cayman Islands”. Icc-cricket.yahoo.net. Archived from the original on 27 September 2011. Retrieved 31 July 2011. ^ “Parker’s eased into top gear”, Caymanian Compass, 24 September 2010. ^ CNCF. “Cayman Festival and Events | Cultural Schedule”. www.artscayman.org. Retrieved 4 February 2018. ^ Cayman Islands, Online Radio. “Pop music from Cayman Islands”. Online Radio Box. Retrieved 21 June 2018. ^ Quinnie110 (5 June 2009). “Cayman Went (2009)”. IMDb. ^ i-obi. “Zombie Driftwood (2010)”. IMDb. “History of the Cayman Islands”. Caribbean Magazine. “Cayman Islands”. 2005 CIA World Factbook. Retrieved 4 July 2005. Originally from the CIA World Factbook 2000. “Non-Self-Governing Territories listed by General Assembly in 2002”. United Nations Special Committee of 24 on Decolonization. Archived from the original on 3 December 2008. Retrieved 4 July 2005. “Cayman Islands” . Encyclopædia Britannica. 5 (11th ed.). 1911. “Cayman Islands”. The World Factbook. Central Intelligence Agency.